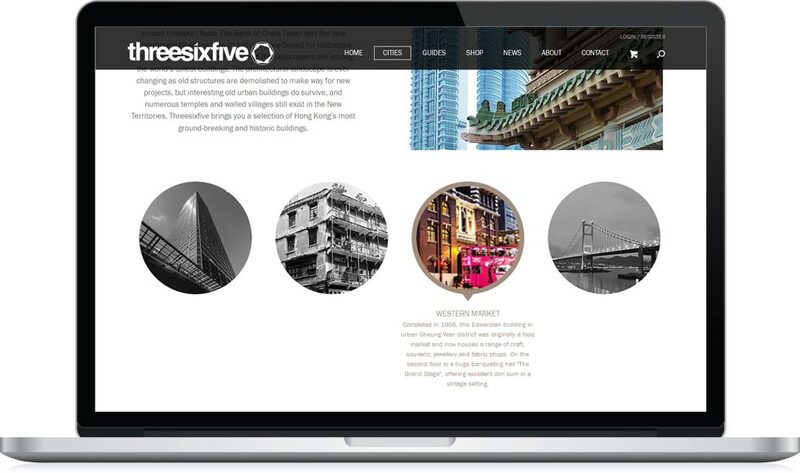 threesixfive is a young company producing high quality city guide books. Tired of the cluttered and sometimes low-quality printed guide books, they set out to publish books that are comprehensive yet selective, filled with high quality photography. The best restaurants, food, hotels, architecture, shopping and design. We built a responsive WordPress website, with a modern design featuring large imagery. With the integration of the popular e-commerce plugin WooCommerce, threesixfive can easily add both physical and digital products for sale, offering credit card payment options in connecting with iTunes and Amazon.